It’s not uncommon to see evergreen trees suffer from damage during the winter. More often than not, this damage is the result of what’s called desiccation. Desiccation occurs when the ground freezes and makes it impossible for evergreen trees to draw moisture from the soil. Instead, they’re forced to burn through all the moisture they’ve stored up their stems and leaves, causing them to dry out completely in some cases. Fortunately, there is a simple solution to this problem that will keep your evergreen trees healthy all year round. You can have your trees protected with an anti-desiccant treatment to prevent them from drying out over the winter. These treatments are especially useful for homeowners who live in colder climates like Connecticut. During an anti-desiccant treatment, your evergreen trees with be coated with a special spray that’s designed to stop moisture from escaping the trees in the winter. This spray will gradually wash away over the course of the winter, but not before it protects your trees and prevents them from drying out. 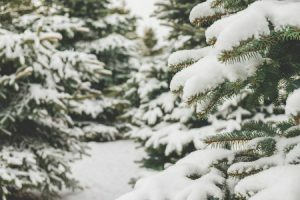 If necessary, you can even have multiple anti-desiccant treatments conducted during the winter to make sure your evergreen trees aren’t harmed by the cold. It’s generally best to perform an anti-desiccant treatment on a nice day in the fall when the temperatures sit somewhere in the 40s or 50s. Ideally, you should try to have your trees treated sometime in December so that your spray lasts as long as possible once winter rolls around. Would you like to learn more about anti-desiccant treatments and how they can benefit your evergreen trees? Call Brother Tree & Lawn Service at (203) 767-2915 to speak with a representative about this or any of the other tree care services we offer today!